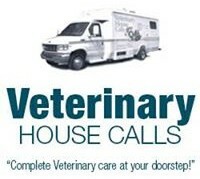 From regular checkups to surgeries, Veterinary House Calls is able to handle any kind of pet care right at your house. Our after hours emergency services are provided by MedVet. Give your pet the instant care they need without worrying about paying for overnight stays at the clinic. We even offer less common medical services for pets, including mass removal, laceration repair, dental prophylaxis, and mouth cleanings. Veterinary House Calls is even qualified to write up health certificates for those who are traveling or are breeders. Veterinary House Calls has the equipment necessary to diagnose a variety of issues stemming from ears, nose, and throat of your pet, including fiber optic otoscopy. We don't stop there though; we can do radiographs, and even chemistry and hematology services. Best of all, you'll get radiology results in about 30 minutes, and just 15 minutes for our chemistry and hematology work. If your pet is suffering and you have no other options available, this can be a very difficult but compassionate choice to make. We provide your pet with a peaceful transition in the comfort of their home with you by their side. Pre-sedation before euthanasia is provided and cremation services are available through Eternal Pet Crematory.